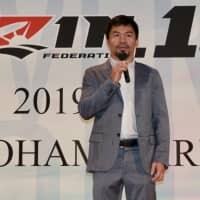 CHIBA - The country’s largest international gateway is hiring more foreign workers to better serve overseas visitors as they arrive in increasing numbers under the government’s policy to promote inbound tourism. The move by Narita International Airport Corp. comes as the country seeks to attract 40 million visitors by 2020, when Tokyo hosts the Olympics and Paralympics, and 60 million by 2030, to maintain economic growth amid a shrinking domestic market characterized by a graying population and a persistently low birthrate. 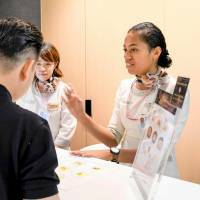 In late July, Roneta Ratumaitavuki, a 24-year-old Fijian, began working at Narita airport near Tokyo, as one of the first three foreign workers directly employed by the airport operator. Fluent in English, Ratumaitavuki attended to a group of men from Singapore at the reception counter of a paid lounge. She gave them instructions on where to smoke and checked whether they would be paying their bills together or separately. Language skills and a high level of education were what drew Narita International Airport to recruit staff from Fiji. After learning that the English-speaking country has many educated but unemployed people, the airport operator held interviews locally and offered positions to three out of the 181 who applied, according to its officials. As Japan’s busiest airport in terms of international passenger traffic, Narita plays an important role in the nation’s inbound tourism, which is being promoted under Prime Minister Shinzo Abe’s growth strategy. The number of foreign visitors to Japan eclipsed 20 million in 2016 and hit a record 28.7 million in 2017. 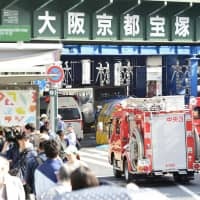 Of those who entered Japan by air last year, 29 percent — the largest group — arrived via Narita airport, according to the transport ministry. 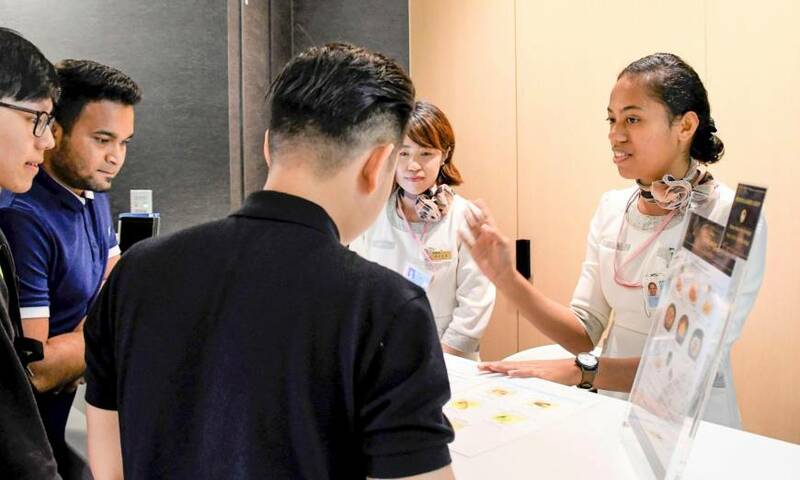 In the face of the growing number of airport users, a security firm conducting safety inspections at Narita has also started to hire foreign staff over the past few years and now employs about 10 people from countries including China, South Korea and Sri Lanka. 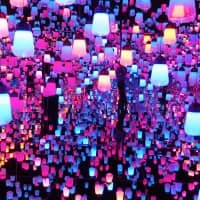 Foreign staff are attractive hires for their ability to communicate in languages other than Japanese. 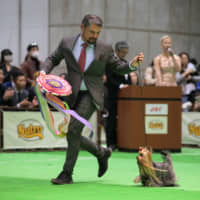 Due to language barriers, it often takes Japanese staff longer to carry out inspections, an official in charge of the inspections said. 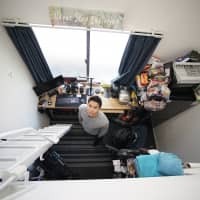 The rise in the number of foreign workers at Narita not only reflects a need for people with communication skills in English and other languages but also the fact that Japanese are put off by the hard work and long hours that airport jobs often entail. 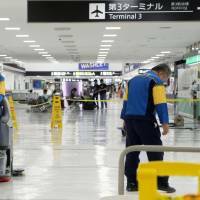 “While airports appear glamorous, the work carried out there is often tough, dirty and dangerous,” said a senior official at Narita International Airport, adding that people doing such jobs often need to work late at night or in the early morning outside of flight hours. 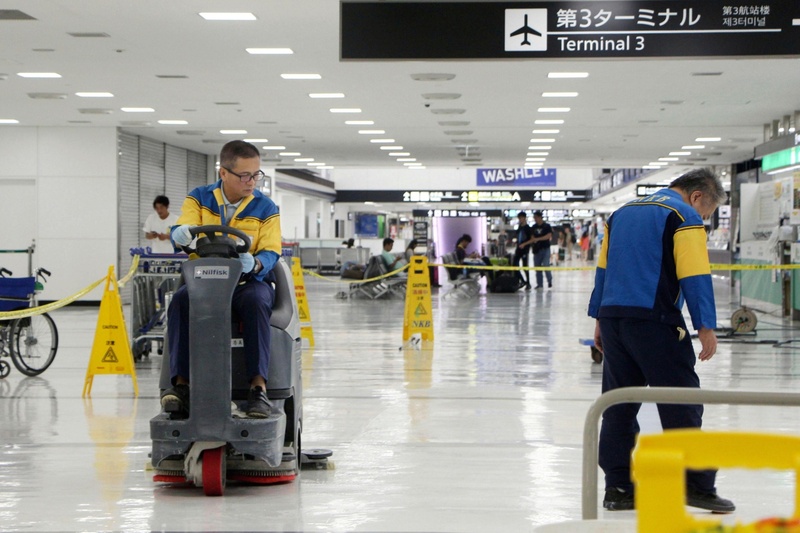 “Japanese people are choosing jobs with better working conditions,” said Mamoru Uematsu, an executive of Biseisha Co., which cleans Narita airport around the clock. The transport ministry is also considering creating a new visa status to expand foreign employment at airports nationwide in order to counter expected shortages of Japanese workers at the facilities. The status would apply to specific jobs, such as ground handling, in which a person guides planes around gates and on taxiways, a ministry official said. 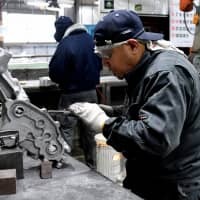 Noting that 35 of the company’s 300 workers are now foreign people, Uematsu said Japanese airports cannot operate without a foreign workforce. The number of international passengers using Japanese airports in fiscal 2016 had grown to 1.4 times that seen in fiscal 2012, according to the Ministry of Land, Infrastructure, Transport and Tourism. 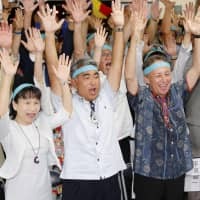 To accommodate continued growth, Narita airport seeks to expand its capacity by adding a third runway — a plan that will raise the number of workers needed at the airport to 70,000 from the current 40,000. The government also plans to reduce workloads at airports by introducing facial recognition technology, to automate a part of immigration checks at major airports. Still, a transport ministry official said concerns remain about a shortage of personnel in the face of robust demand and a graying workforce.